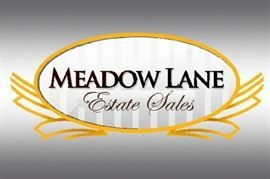 Local pick-up on most items, in Northbrook, IL. Shipping available for select items. Local delivery available for select items. Text Patty for an estimate at 847-772-0404. Please see sale description for more details. 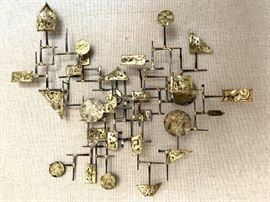 Mid-Century Modern Metal Sculpture - Signed "Romano". Measures 33 1/2 inches wide by 25 inches tall by 4 inches deep. In very good condition. 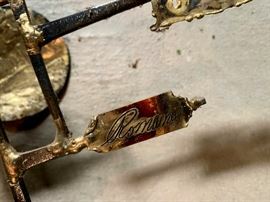 Close-up of signature - Mid-Century Modern Metal Sculpture - Signed "Romano". Measures 33 1/2 inches wide by 25 inches tall by 4 inches deep. In very good condition. 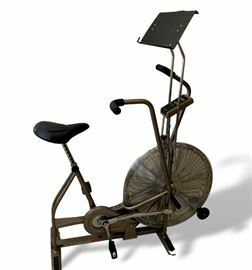 Schwinn Airdyne Exercise Bike. Measures 62 inches top of magazine rack by 47 inches long. In good working condition. 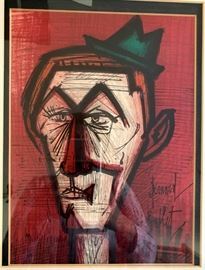 Vintage mid-century framed print signed Bernard Buffet. Frame measures 19" x 15", Image 11 1/4" x 8 1/4". 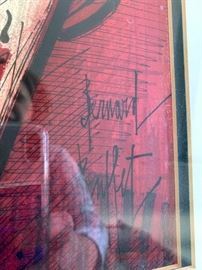 Vintage mid-century framed original art signed Kirk. Measures approximately 10 inches by 8 inches. 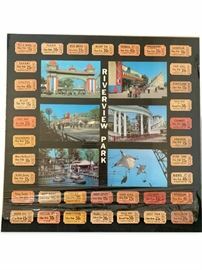 Partially shrinkwrapped on cardboard backing Riverview ephemera. Measures 18" x 18". In very good condition. 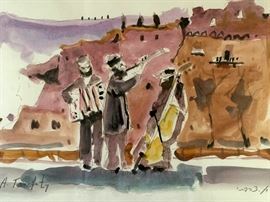 Original framed watercolor by Arie Tsarfaty. Frame measures 23" x 17", Image 19" x 13". 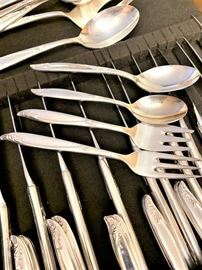 Holmes & Edwards deep silver (silverplated) flatware set. In very good vintage condition with normal wear. 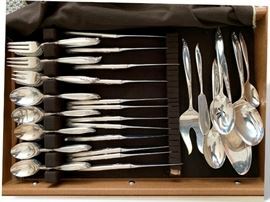 Includes 25 teaspoons, 12 tablespoons, 16 luncheon forks, 8 salad forks, 12 knives, 1 master butter, 1 casserole spoon, 1 slotted spoon, 1 serving spoon, 1 serving fork, 1 cake server. 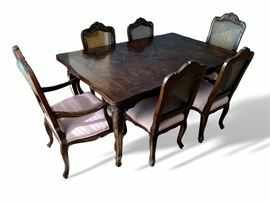 Solid wood dining room table and chairs as shown. Table has slide out leaves on each side. Shows wear - cane chair backs show damage. Table measures 67 inches long by 44 inches wide. Beautiful sofa in excellent condition. Measures 74" long by 33" deep by 30" tall at highest point of back. Seat height 18", cushion depth 23". Heavy beveled glass, brass and wood coffee table. Measures 42" x 42" x 18". Shows very light wear. Pair of 2 matching upholstered chairs - off-white, several small light stains. 26" tall x 29" wide. Original oil. Mid-century impressionist Paris street scene signed Ricci. Frame 23" x 9", Image 19 1/2" x 15 1/2". 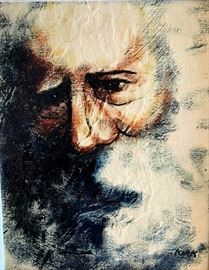 Original oil signed Steiner. Frame 17 3/4" x 13 3/4", Image 15" x 11". Tiffany Playing Cards Box (includes cards, not marked Tiffany). Framed Needlepoint of a Procession. Frame measures 36” x 21”, Image 33 ½” x 17”. In very good condition. Pair of framed Needlepoints. Frames measure 22” x 10”, Image 18 ½” x 6 ¾”. In very good condition. Oil painting of winter scene. Signature illegible. Frame measures 38”x 32”, Image 29 ½” x 24”. In very good condition. Oil painting of winter scene. Signature illegible. Frame measures 38”x 32”, Image 29 ½” x 24”. shrinkwrapped African Queen Movie poster dated 1974. Measures 20 1/2" x 28". Pair of vintage hollow silver candlesticks. Measures 11 ¾” and 12” respectively. In good condition with aged patina finish. Large Conque Shell. Small chip. Measures 8” long. Traditional Seder Passover Plate. In very good condition. Measures 12 ½ inches. BUY IT NOW FOR $25. TEXT PATTY AT 847-772-0404 TO COMPLETE THE TRANSACTION. Vintage carved wood sculpture. Measures 9 1/2” tall x 7” wide by 4” deep. In very good condition. Vintage Lincoln Ware metal dispenser, shows wear, rust, typical metal patina. Measures 12” tall by 12 1/2” wide. Lovebirds porcelain figurine – 8” tall. No damage. Lot of 3 Acrylic Accessories. Normal wear. Wastebasket 9 ½” tall x 9 ¼” wide x 6” deep, towel bar 29 ½” long by 4 ¼” deep. Display shelf 19” x 19”. Pair of English heavy brass candlesticks – 6 14” tall – wax residue. Pair of Twin Beds. Wood shows normal wear. Right finial missing to one headboard. Sturdy. Headboards measure 42” wide by 37” high – footboards measure 42” wide by 23” high. Dark Wood Floor Lamp/table – 52” tall. Normal wear. Pair of Sterling silver cement filled candlesticks. Shows wear and dents. 9 ½” tall x 9 ½” across, 3 ½” at base. New in package Exercise Mat. Vintage Inuit Sculpture – 7” tall x 6 ½” wide. Damage to one hand, a few shallow small chips to body. Lot of trinket boxes and small cloissone vase. Leather trinket box made in Italy, Bird box made in India. Lot of 8 nut dishes – 4” diameter. Normal wear. Vintage mahogany salad bowl with utensils and sterling silver trim. Dent to silver base, and one utensil handle – small fleabite chips to bowl.